Hate paying every month for feminine needs? Have you ever though of making or buying reusable products? No more buying product every month and the reusable pads are pretty and more comfortable too! I have saved a fortune using cloth over the past 20 years. Chrissa posted: This freaks me out a bit! I really only spend 2 dollars a month on tampons. Even at only $2/month - over 20 years, that is $480 you wouldn't have to spend. But I do understand the "ick" factor. ♦ What is a Sea Sponge? 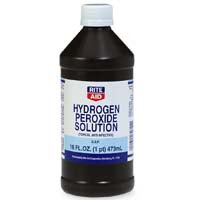 Blood on your clothes or mommy pads - Hydrogen Peroxide. I pour some on my clothes in the sink. Just enough to soak. I go back and refresh the H2O2 on the clothes. When the blood has run out, I run cold water on them. I have yet to have a stain, and I started using cloth menstrual pads. It is so nice to keep them stain free. The sooner the better. This doesn't work as well once dry. But it does get it out, it just takes more peroxide. If dry, start by getting it wet with cold water. And proceed the same way. ♦ Fast Facts From "Whitewash"
Some people would rather pay full price that deal with coupons - we all have our limits! But I understand - it is definitely not for everyone - just throwing out an idea for those that might find it interesting.